Nigerian president, Muhammadu Buhari. Creative Commons photo by e Tasnim News Agency. Nigerian President Muhammadu Buhari has been ill lately and he's missed several public functions. 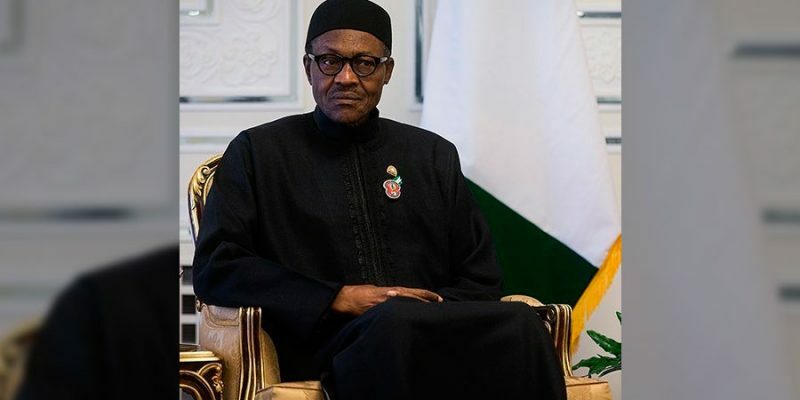 In March, Buhari returned from the United Kingdom after seven weeks of medical leave , but questions about the health of the leader of Africa's most populous nation resurfaced when he skipped a federal executive meeting on April 12. According to the newspaper ThisDay , Buhari's “conspicuous absence” even raised concerns that he'd been flown abroad again, though the government denied these rumors. The explanation only led to more questions about Buhari's location and health. Then, the following Friday, the president failed to attend  the Friday Jumat prayers in Aso Rock Presidential Villa . Buhari hasn't been at Friday prayers today – which I think it's fair to say suggests he is quite ill.
A national embarrassment for Nigerians to be trending hashtags just to see their President or have information about him. It is May 2017, we don't have a budget, we are not normal people..
we are also looking for our President..
“Nigerians should know the state of health of Buhari,his age and health cannot stand the rigours of office”- Ayo Fayose(Jan 15,2015). President Umaru Musa Yar'Adua  died in 2010 after battling a heart condition  for months. The secrecy surrounding his illness led to a power vacuum and a subsequent political crisis. Despite constitutional provisions  for the transfer of power when the president becomes incapacitated, Yar'Adua's advisors prevented him from stepping down. Instead, the “cabal ” spread  disinformation about his health. The then opposition party through its spokesman, Lai Mohammed, asked the government to produce “concrete evidence ” through a video recording of the sick Mr Yar'Adua from his hospital bed. Mr Lai Mohammed, who is now the government spokesman seems to have forgotten the solution he advanced in similar circumstances seven years ago. Blogging on Medium, Nigerian writer Tunde Leye warned  that catastrophic consequences could result from further obfuscation about the president's health, saying that some Muslim clergy are already blaming Christians for “poisoning” Buhari. “A policeman was even reported to publicly declare that he would kill 200 people if President Buhari dies,” Leye wrote.